Bill Windsor is still alive and exposing corruption at 9:25 am Eastern Time on February 1, 2015 -- Day 35 as a "wanted" man. Corrupt people in Montana and Texas are attempting to put Bill Windsor in prison for life for their crimes of denial of the most fundamental of Constitutional rights. 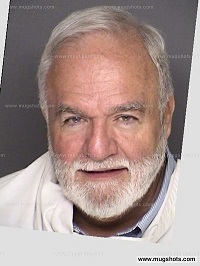 If you have not yet read the report of the five crimes that Bill Windsor is charged with, please read it. And no, this isn't a joke. 35 days on the run as the World’s Most Notorious Tweeter. 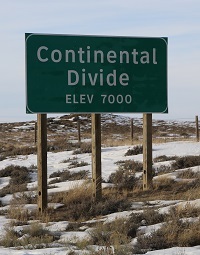 I've crossed the Continental Divide a few times over the last 35 days...and the 45th Parallel. I've also seen several of the World's Largest things. I am about to publish my Appellate Brief that has been sent for filing to the Texas Tenth Court of Appeals in Waco, Texas. This is for my three appeals of the denial of my petitions for writ of habeas corpus in Ellis County Texas. It is a legal document that I am publishing without redactions. In the Statement of Facts, it does name the UNIVERSITY OF MONTANA EMPLOYEE, and I will defend my right to publish that name anywhere anytime. I am not in Montana, and I am not subject to a protective order, and even if there was such an order, it would be void as to any attempt to deny the most fundamental right to freedom of speech: the right to speak or write an alleged human being's proper name. I will be alone this Super Bowl Sunday, so I visited a grocery store last night and bought a lot of junk food. I'll be chipping and dipping. I haven't watched TV in 35 days, but I especially look forward to the commercials. I would have been rooting for the Patriots because Sherman is such an abrasive person, but I have to cheer for the Seahawks since it seems like the Patriots are cheaters.